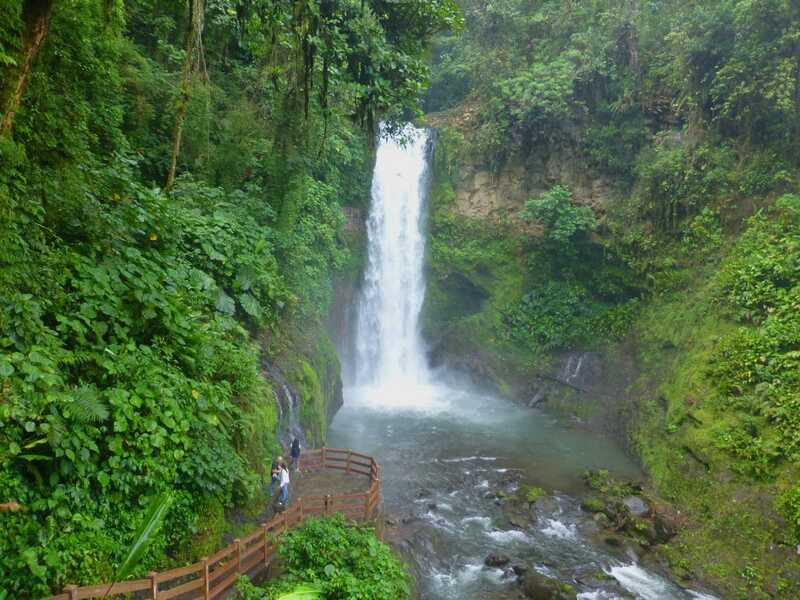 La Paz Waterfall Gardens is a 70 acre wonderland located in Vara Blanca, Alajuela, Costa Rica. It has over 3.5 kilometers of walking trails and 10 animal exhibit areas to enjoy. We visited on an overcast day in November 2014. 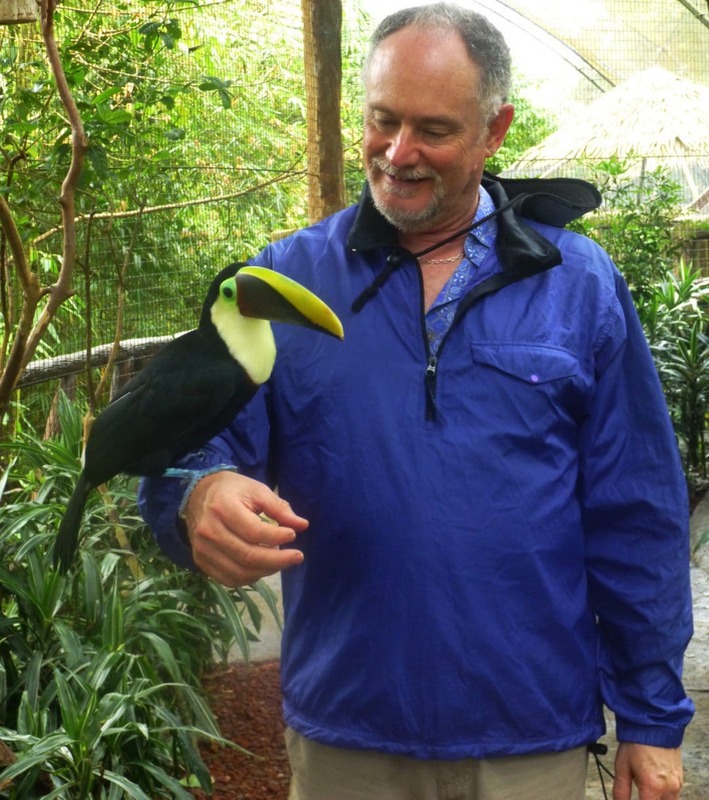 The Gardens includes an aviary with 40 species of birds and you can pet the toucan. There are marmoset monkeys, two-toed sloths, Capuchin (white-faced) monkeys, black-handed spider monkeys and an insect exhibit. 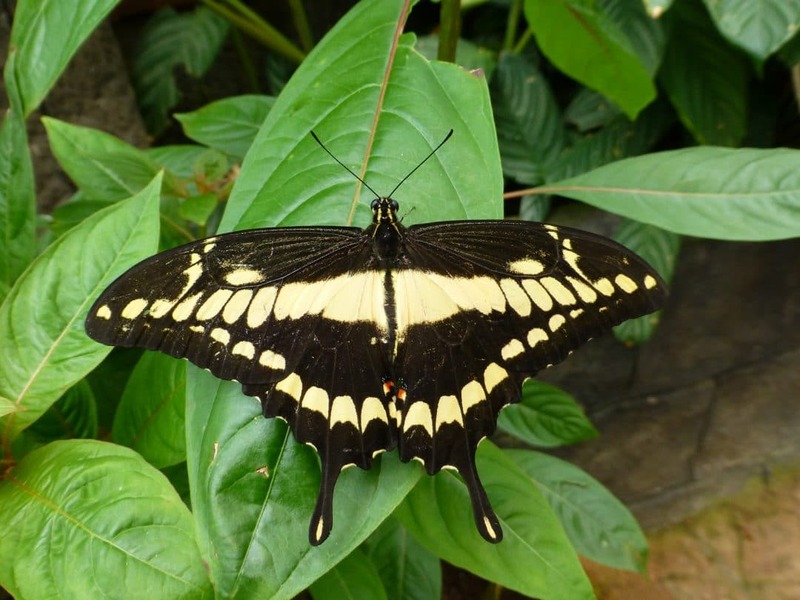 The butterfly house includes a butterfly observatory, butterfly laboratory and butterfly gardens. 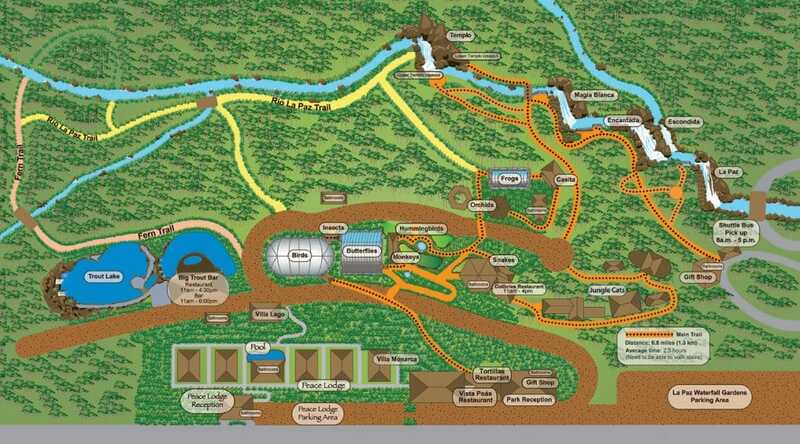 With such a large park to explore, remember to pick up a La Paz Waterfall map when you buy your tickets. You can also plan your day in advance by clicking on the map pictured above. 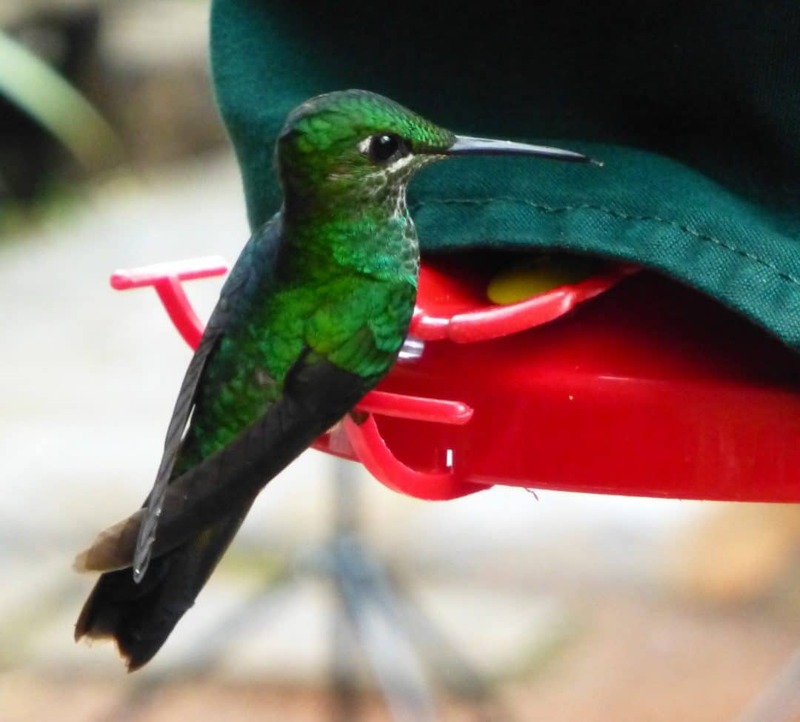 The hummingbird garden has 26 documented species and there is hummingbird hand feeding in the mornings and afternoons. The serpentarium (snake exhibit) includes a large selection of native snakes in glass terrariums. 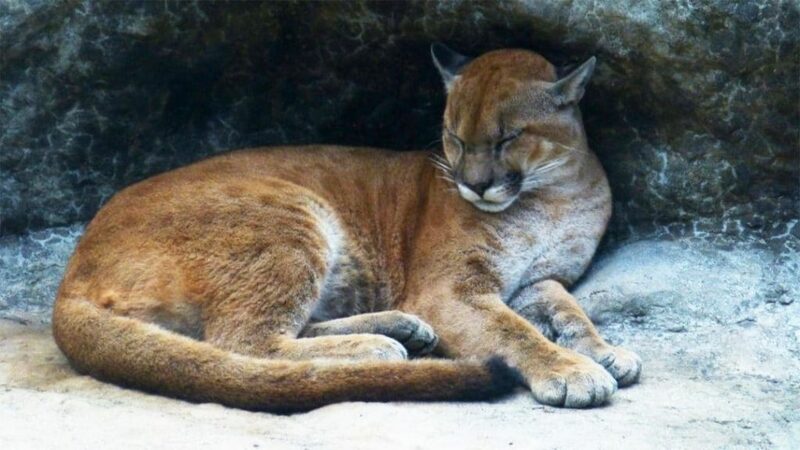 There is a zoo with a Jaguar, pumas, ocelots, jaguarundi, and margays, a ranarium (frog exhibit), as well as an exhibit of orchids, heliconias and bromeliads. All of the animals are rescued animals; none have been captured to be exhibited. There are guides throughout the park, and tipping is gently suggested. On the grounds is the casita de la paz, which is a replica of an original Tico house with furniture and implements. There is also a petting zoo and an ox cart. 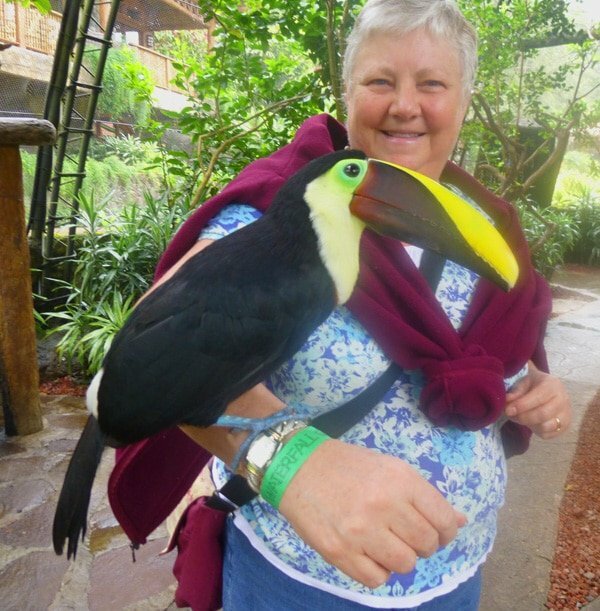 The aviary includes a friendly toucan that will sit on your arm. As you can see, toucans look just like the Fruit Loops cereal icon. Their coloring is astonishingly vibrant. 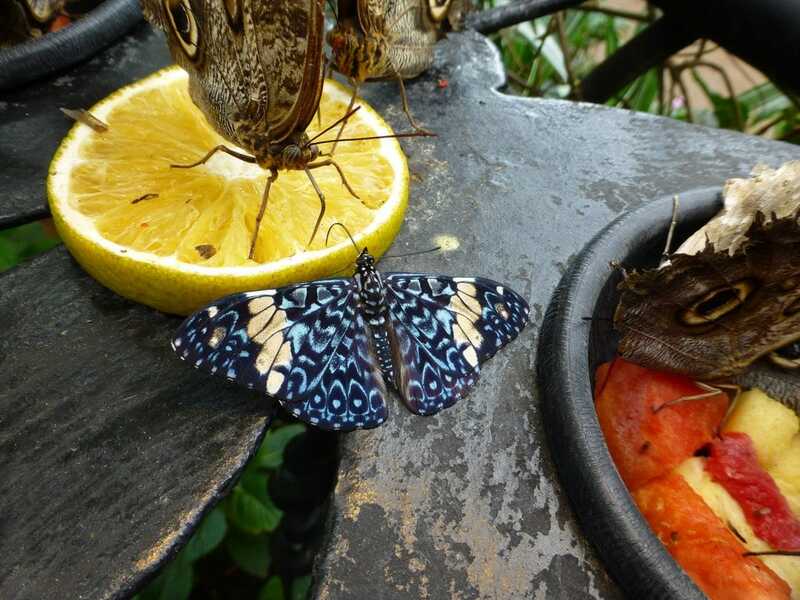 Laurie’s favorite exhibit was the butterfly house. It is a two story structure that is so filled with butterflies that at least one will certainly land on each visitor. A morpho blue butterfly sat on Laurie’s shoulder as she wandered through. We couldn’t help but take photograph after photograph of the dozens of different brightly colored butterflies. 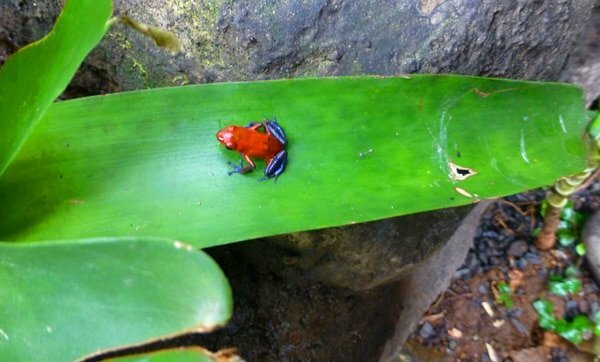 The frog exhibit was a bit disappointing, as it was small and we found it difficult to see many of the small dart frogs. But we did spot a few. They are very tiny and brightly colored. 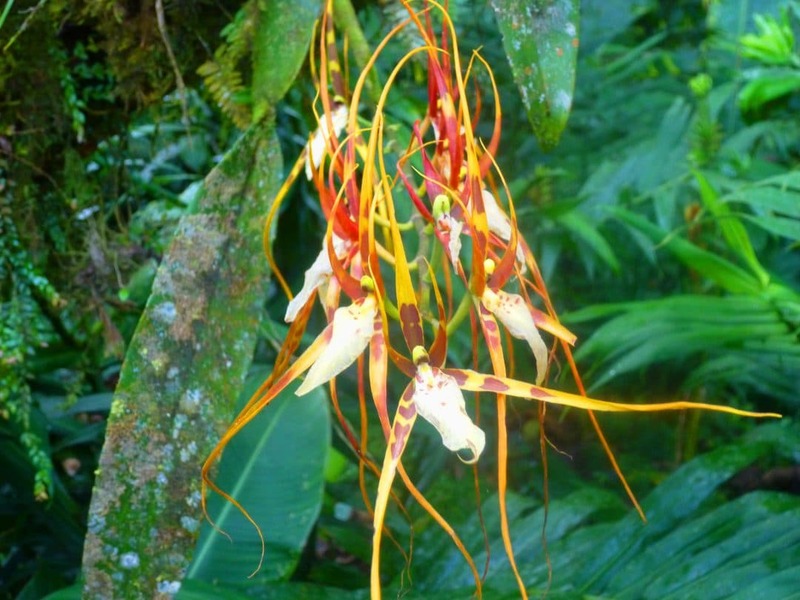 The display of orchids, heliconias and bromeliads was extensive with many exotic and gorgeous blooms. 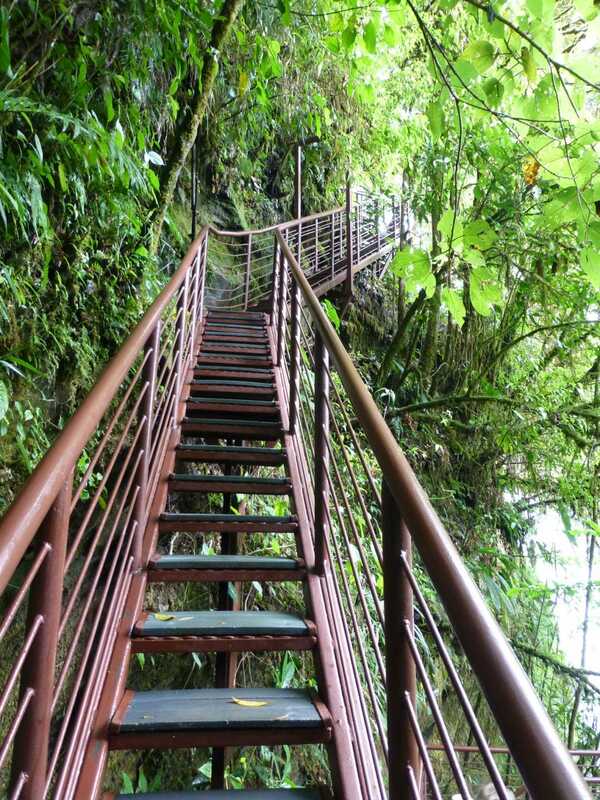 The hiking trails go through both a rainforest and cloud forest as they wind their way down into the valley where the waterfalls can be viewed. The park includes five separate waterfalls and, because of the construction of walkways and viewing platforms, they can be easily and safely viewed from several vantage points along the trail. The 121 feet tall La Paz waterfall is the most famous waterfall in Costa Rica. 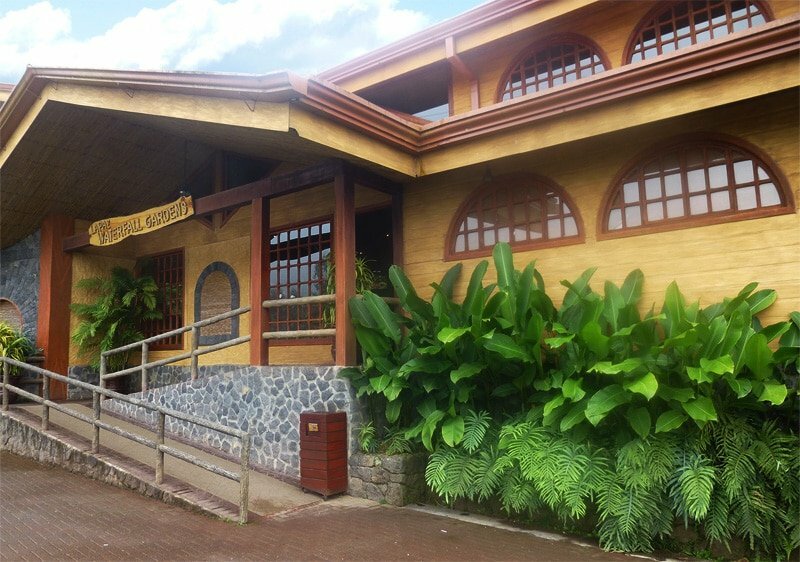 Also on the La Paz Waterfall Gardens grounds is the Calibre restaurant in a pretty setting. A buffet lunch is served daily. We did not partake, but it looked complete and folks seemed to be enjoying it. 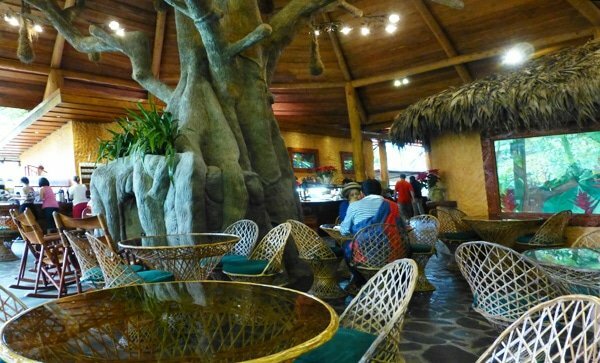 We had a great cup of Costa Rican coffee there and enjoyed the jungle views. For a luxurious stay, consider the Peace Lodge. This exquisite accommodation includes early and late entrance to the park and some special access to the critters. The rooms look out on the gorgeous property. Although we spent an afternoon here, we could have wandered longer. The grounds are gorgeous and well kept, and the walking trails are more wild and less manicured. The trails included many steps, both down and up, but there was a free shuttle back up to the parking lot at the end of our hour-long hike down to the waterfalls. The entry fee of US$38.00/ person for foreigners seemed expensive at first, but we agreed that the experience was well worth the price of admission. Plus, the money goes to preserving a unique wildlife rescue operation as well as a truly wonderful place to spend an afternoon. Great pictures, Neil. I enjoy the writing from both of you. I feel like I’m reading a very well written travel book. Great information. Happy trails! Thanks so much! I’m glad you enjoyed the post. La Paz is an awesome place. What a delight! Another inspiring reason to visit Costa Rica! Thank you for sharing all the details and beautiful photos! I’m looking forward to traveling here with Zane. Yes, we truly enjoyed our experience at this eco park. Definitely a must see if you are in the area. Thank you! 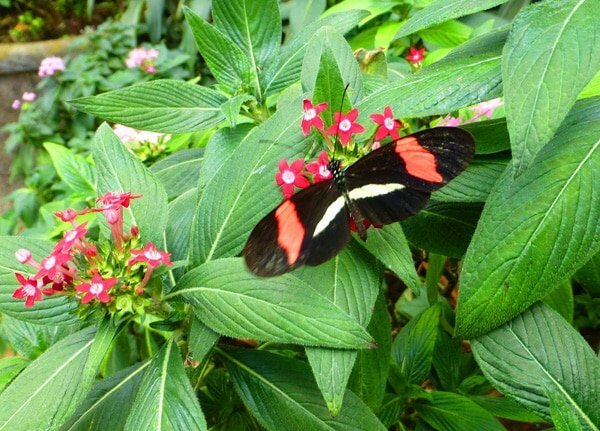 What I remember most were the abundance of huge butterflies in the butterfly zoo and the plethora of brilliantly colored hummingbirds. I would gladly visit there again! 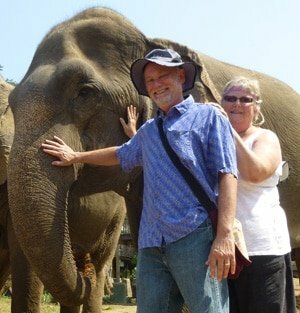 Hi Laurie and Neil, thanks for sharing this lovely experience. Love the water fall and the butterflies. At first I wasn\’t sure about the animals in captivity and then you said they have been rescued, which is wonderful to know. 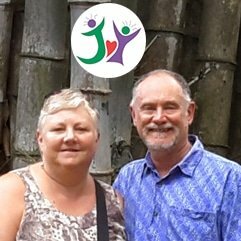 Costa Rica, and in fact that whole part of the world, is sure on our radar, but with so much other travel going on it is likely to take us a while. Cheers, Sue & Dave. Thanks again for your comment and being a part of our community. We are also often both discomforted to see animals taken from the wild and being caged. 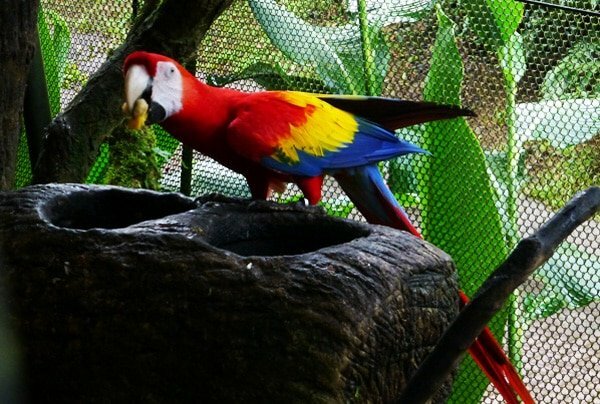 We were happy to learn that the animals in La Paz Waterfall Gardens were rescued.